I started writing purposefully seven years ago, although I'd been flirting with the idea long before that. In the few hours a week I could give it, I fumbled my way through discovering what was driving me to write, what I even wanted to write about, and where my voice lay under layers of bad writing and poor grammar and passive voice. As I thought about this post, I thought about the very small amount that I know about artists and how some of their work is described in periods--Picasso's Blue Period, for instance. I am certainly not equating myself with Picasso, but I can look back at these seven years and see how God has taken me through periods where I've lived through and written about certain themes. First was the cathartic period, a time I might call my Blue Period. I cut my writing teeth on the experience and processing of my son's autism diagnosis. In fact, I wrote an entire book on it that few have seen and few experienced readers would really want to see. Though private, it was a fruitful period. I grieved through writing, and I learned myself through writing, and I actually learned the process of writing. Then there was the Green Period--green because of the growth personally and the growth in writing, and because of the color of the cover of my first published book, The Church Planting Wife. So much of my life in the Green Period has gone toward encouraging ministry wives and church planting wives and to what I hope has been a strengthening of God's church. And I've loved every minute of it. In some ways though, this new period is unclear. I've questioned myself a lot this past year. I've felt at times uncomfortable with writing so openly about ministry life, knowing that people in our church read my words. I find myself wanting more and more to hold some of these things to myself. Instead, I want to explore bigger themes, themes that apply to all women. I hope this next period is a Yellow Period, bright with joy and grace. I find the Lord challenging me in those areas, and I want to write about these themes with creativity and thoughtful curiosity. I want to write beautiful words that lead me and whoever reads them to enjoy God more. I don't want to force a focus on church planting and ministry when my writing heart is expanding its horizons. All that said, however, I am a pastor's wife, I love being a pastor's wife, and my writing will never escape the perspective and flavor of life as a pastor's wife. So this is what I'm trying to tell you, however much I'm fumbling along: Green is becoming Yellow. I won't be so overtly focusing my blog on church planting and ministry as the summer moves along. I'll actually be taking a month off from writing in early July, and when I return, I will be focusing more and more on grace and how the gospel of Christ affects our everyday lives. I've feared that you may not come along with me, but God is leading me, my writing is His, and, though none may go with me, I'm going to follow His leading. In preparation for this transition, I've compiled all my blog posts on church planting and ministry into two ebooks. That way, if you're like, "Hey Friend Who Is About to Church Plant, I know just the blog for you! ", she doesn't have to dig around in old posts but can just plunk down a few dollars and have it right there on her e-reader. Or if you're a faithful reader but want to have the posts all together in one place to read or refer to like you would a book, you can just plunk down a few dollars and have it right there on your e-reader. 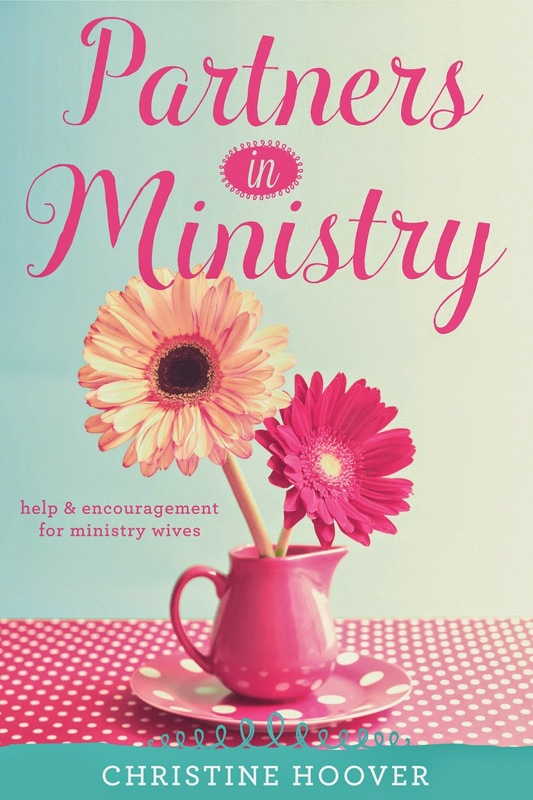 One of the ebooks, Partners in Ministry: Help and Encouragement for Ministry Wives, is available starting today on Amazon, Nook, and iTunes. The other ebook, Partners in Planting, will be available later in the summer. If you want to be alerted to when it becomes available, just subscribe to the blog or like Grace Covers Me on Facebook. Thank you, dear readers, for the Green Period. I absolutely love connecting with you and hearing about how God is at work through you and in you. Won't you join me now in the Yellow Period? And might you invite a friend to come along by sharing the blog with them? Let's all explore grace and joy and love together, shall we?